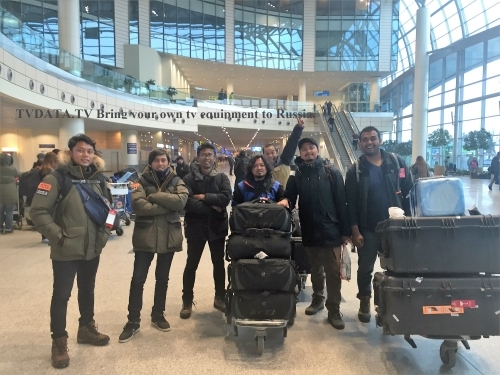 Moscow Russia: Indonesian camera crew filming with TVDATA. 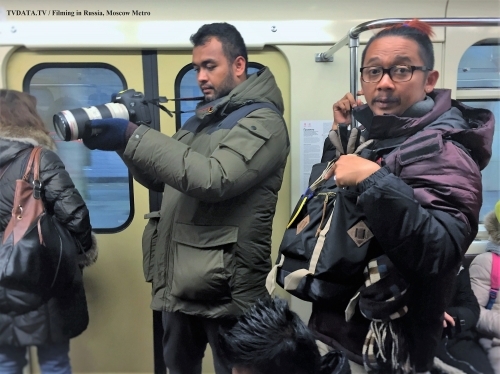 TVDATA.TV Media assisted a team of RCTI Television from Indonesia to film In MOSCOW METRO. At the beginning of February 2016, the award-winning reality television game-show ‘The Amazing Race’, in which teams of two rush, came to Moscow, Russia for Grand Finale. Filming in Russia- In Moscow Metro. Filming’ Amazing race’ show for RCTI Television from Indonesia. TV show contestants embarking on the metro train followed by several cameramen. They are supposed to find their way in Moscow metro of 12 lines and 195 stations. Underground train system in Moscow or The Moscow Metro is one of the most magnificent subway of the world. It is beautiful, cheap and but it carries 7 million passengers a day. To avoid problems while filming on the tube we recommend you hire a Russian producer to accompany your production team. 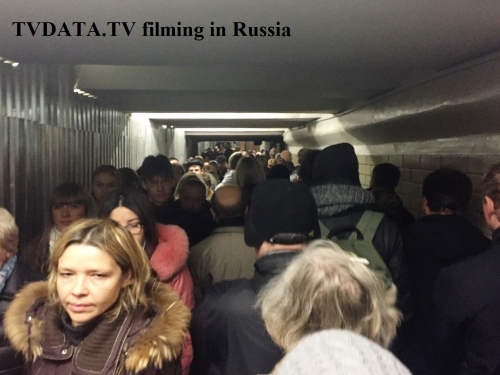 If you wonder whether you Can film in the metro of Moscow or Saint Petersburg… Professional Filming inside public transport in Russia has to be approved by the city authorities and in most cases requires a special permit. TVDATA’s Local Russian Producer can apply for such permit on your behalf. Please do not hesitate to contact us at www.tvdata.tv.